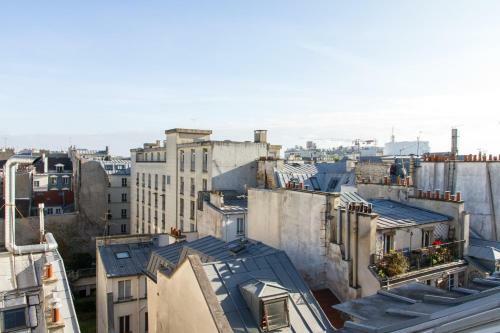 Private Apartment - Marais - Beaubourg - 196 offers accommodation in Paris, 500 metres from Place de la République and 700 metres from Pompidou Centre. 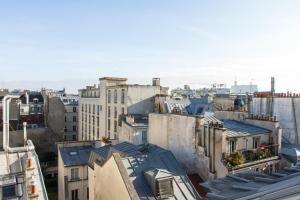 Private Apartment - Marais - Beaubourg - 196 boasts views of the city and is 1.5 km from Notre Dame Cathedral. Free WiFi is offered throughout the property. There is a dining area and a kitchen complete with an oven, a microwave and fridge. Towels and bed linen are available in this self-catering accommodation. Louvre Museum is 1.6 km from Private Apartment - Marais - Beaubourg - 196, while Opéra Bastille is 1.9 km away. The nearest airport is Paris - Orly Airport, 15 km from the property. Rate: € 146.33 ... € 180.00; select dates below to get current rates.